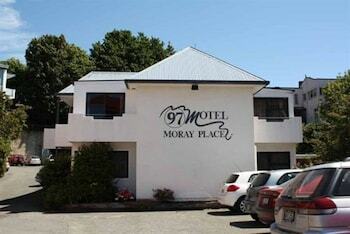 With a stay at 97 Motel Moray, you'll be centrally located in Dunedin, steps from St. Paul's Cathedral and 4 minutes by foot from First Church of Otago. Featured amenities include dry cleaning/laundry services, luggage storage, and laundry facilities. Free self parking is available onsite. Located in Paraparaumu, Sanctuary Raumati South is by the sea, a 1-minute drive from Raumati Beach and 6 minutes from Paraparaumu Beach. Free self parking is available onsite. Located in Napier, Esk Valley Lodge is in a rural location, within a 15-minute drive of Ahuriri Estuary and Pandora Pond. A roundtrip airport shuttle is complimentary during limited hours. Located in Tuamarina, Marlborough Bed and Breakfast is in a rural location, within a 10-minute drive of St Clair Winery and Johanneshof Cellars.